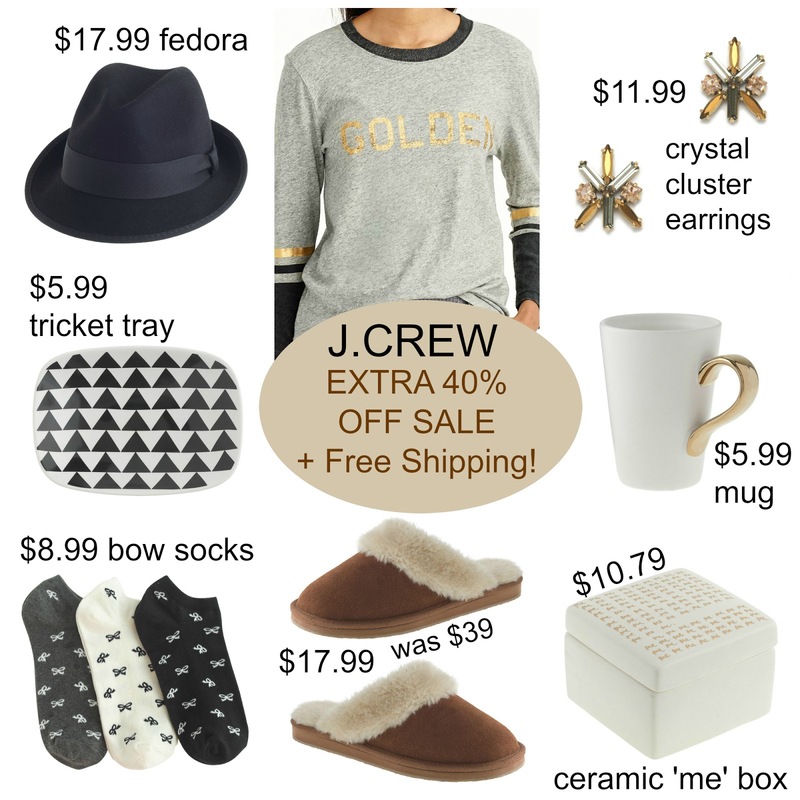 Tracy's Notebook of Style: J.Crew EXTRA 40% off Sale Picks Under $21 + Free Shipping! J.Crew EXTRA 40% off Sale Picks Under $21 + Free Shipping! Tuesday just got a little bit sweeter with J.Crew taking an extra 40% off sale prices! You can now find some amazing deals for less than $21 and pick up last minute gifts because who wouldn't want something from J.Crew? Get your shopping discount on with free shipping too! *This mug is on the smaller size, more of a "tea" size if that makes sense. **Catchall trinket tray is tiny and adorable, good for rings or change. + 30% off regular price + Free Shipping on all orders!